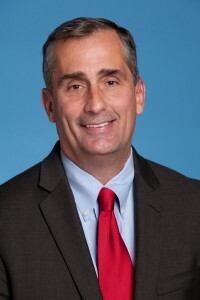 Intel is a company that powers the cloud and the billions of smart, connected computing devices that connect to it. As we continue our transformation to focus more deeply on the virtuous cycle that has emerged — the cloud and data center, the Internet of Things, accelerators like memory and FPGAs, all bound together by connectivity and enhanced by the economics of Moore’s Law — we are seeing more and more experiences that can be transformed by our technology. The Internet of Things is a collection of smart devices that are connected to the cloud. That connection to the cloud means that everything a “thing” does can be captured as a piece of data, measured in real-time and be accessible from everywhere. These connected things are becoming ubiquitous, transforming every experience in our lives. “Things” can be as small and simple as a connected watch or a smartphone. Or they can be as large and complex as a car. 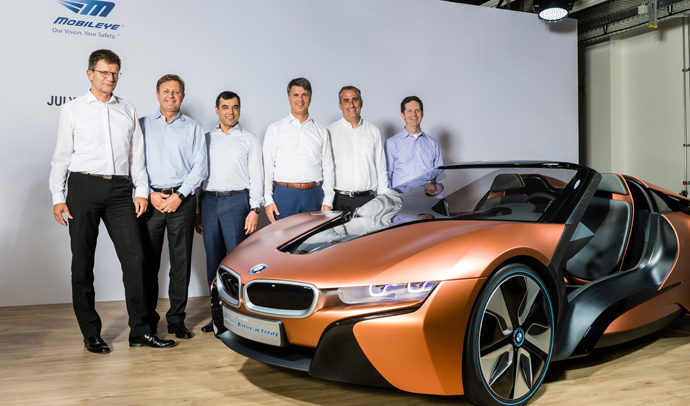 The driving experience is perfectly positioned for the next wave of technological innovation. Today, driving can be frustrating: Think of the last time you were stuck in a traffic jam or lost on your way to a destination. Driving can also be dangerous. Every year, more than 30,000 people in the U.S. die from preventable automobile accidents1. More than 90 percent of all auto accidents are caused by human error2. An EU study reports that distracted and drowsy driving are responsible for 13 percent of traffic deaths each year3. These frustrations and dangers make the driving experience ripe for disruption and innovation. 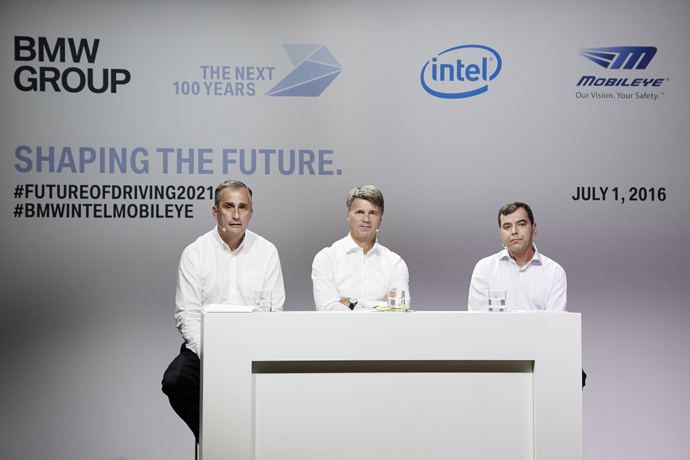 Today is an important step in bringing our vision to reinvent the driving experience. To make this vision a reality, cars — and everything they connect to — will need super-powerful, secure and reliable electronic brains that make them smart enough to act like human drivers. Cars are rapidly becoming some of the world’s most intelligent connected devices, using sensor technology and powerful processors to sense and continuously respond to their surroundings. Powering these cars requires a complex set of technology: sensors that pick up LIDAR, sonar, radar and optical signals; a sensor fusion hub that gathers millions of data points; a microprocessor that processes the data; and machine learning algorithms that require an enormous amount of computing power to make the data intelligent and useful. These technologies are complex because the decision-making connected cars must perform in busy urban environments is complex. Evaluating the surrounding environment for reckless drivers or a road detour. Quickly identifying options, such as swerving, braking, turning or, in the future, communicating directly with another driver’s car. Making the right decision and acting on it. Intel is uniquely positioned to bring the end-to-end capability and technology to the future of autonomous driving. 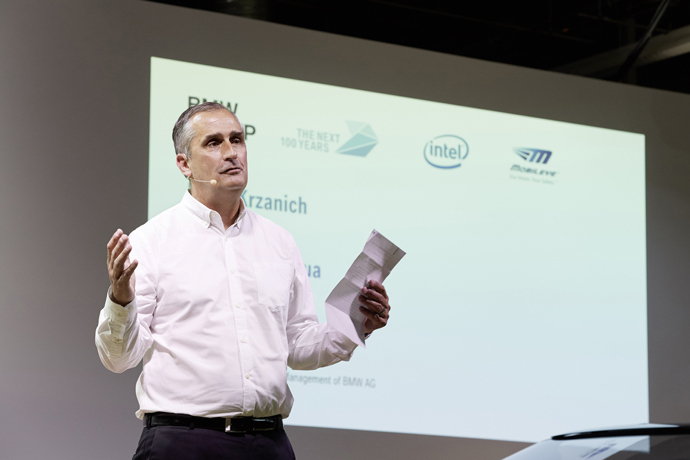 Intel offers a broad set of assets to autonomous driving collaborations: in-vehicle computing; a robust cloud and set of machine-learning solutions; a high-bandwidth, low-latency connectivity system; powerful memory and FPGA technology; human-machine interfaces; and safety and security technology. These are all technologies Intel is continually investing in to enable the future of autonomous driving. We believe there is incredible opportunity to reinvent the driving experience. We believe it will take a global ecosystem for this vision to come to fruition. 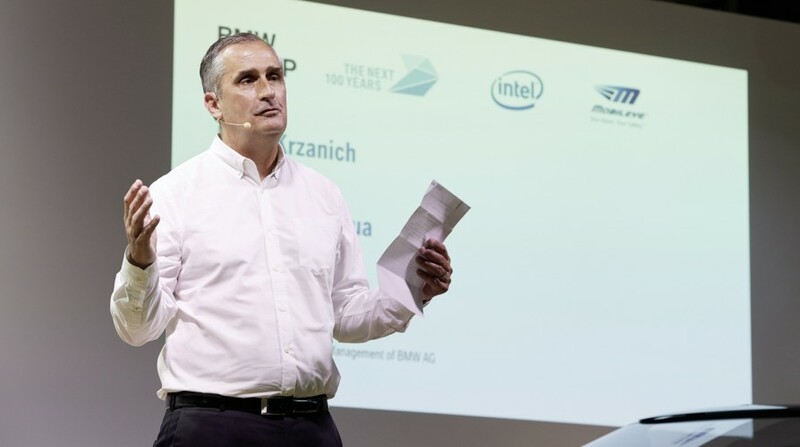 Today we are taking the first step in this reinvention as we announce our partnership with the BMW Group and Mobileye to power the next generation of BMW’s Highly Autonomous Driving and Fully Autonomous Driving products and the collective goal to establish an industry standard for defining an open platform for autonomous driving. 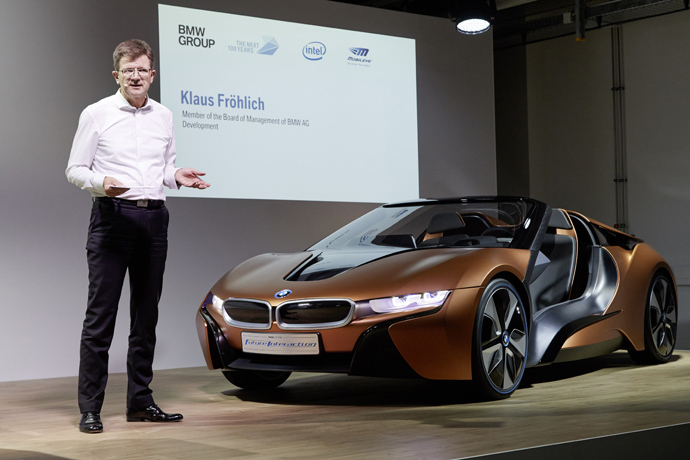 This collaboration marks a significant step for the automotive industry. 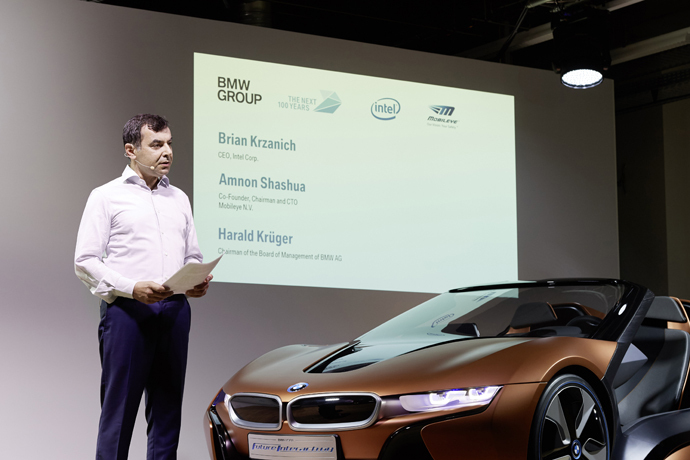 Intel is bringing end-to-end computing technology to power the connected car from the door locks to the data center; Mobileye is bringing world-leading visual analytics; and BMW is providing the ultimate driving experience. 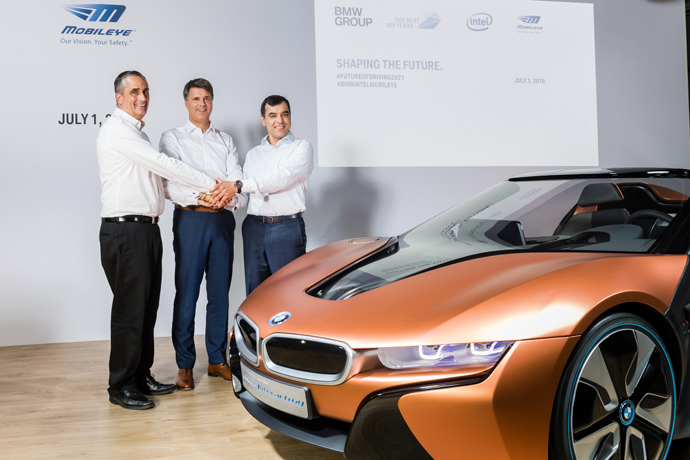 As Intel continues to invest in providing the world’s most advanced technology for autonomous driving, we believe this is first of many exciting collaborations and partnerships ahead. The future of highly autonomous driving is promising, but there are significant challenges to solve worldwide. For example, how can you teach an autonomous car to react to unpredictable human drivers who might be drunk, texting or speeding? How and when will there be detailed, accurate maps of all the roads in the world? How do we make the world’s roadways smart so they can communicate with and warn cars about hazards and traffic? These are challenges that the auto and tech industries and other experts are coming together to solve. It will take significant resources and our best engineering minds — and it will not be easy. Solving big problems is what we do at Intel, and it’s what gets me excited. It will take the best engineering minds. We look forward to shaping the future of the connected car with the entire ecosystem.